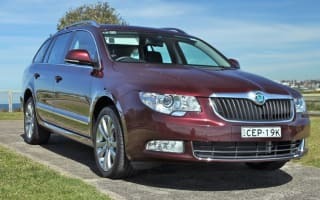 I have never appreciated a car more than this after 50 years of 4WDs, sedans, wagons – the lot. Four years on and the name says it all. The Suberb is an excellent touring car which this country-based owner needs. Our needs were for a powerful, reliable wagon with possible 4WD for improved road holding in variable weather. 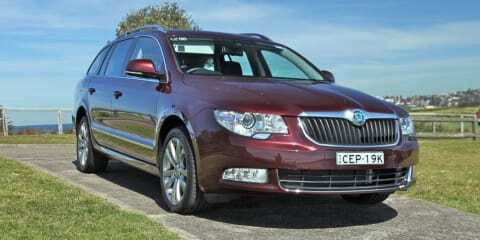 The Superb V6 wagon fitted our needs almost exactly. It never puts a tyre wrong. Yes, it’s a bit noisy on our country roads, and there is a trade-off with its sport style suspension. But it is sheer joy getting from A to B, C, D or anywhere every time you drive it. Boot space and features are appreciated. The sat nav program is a little dated now and is expensive to update. After 70,000km I have had no reliability problems whatsoever and no warranty issues. Servicing costs, however, have been no worse than previous large cars I have owned. I have have tried the 2016 model but a few too many gadgets for this old timer. The “old” V6 is much smoother than the turbo-four. The engine and DSG gearbox seem perfectly matched and have I never had any issues with this either. When it comes to economy, the 98RON fuel requirement is not as bad as first feared. It gets by okay on 95 until civilisation is re-discovered. Economy varies between high 8s and high 9s per 100km. I reckon this is more than satisfactory in our country conditions. I have been so impressed by this Skoda we now also have a 4WD (petrol) Yeti as a farm cart.